WELCOME HOME to country living on 6 acres! 3 bedroom, 2 bath, 2 car home with amazing year-round sunroom! New paint, newer windows. Nice Fenced Horse Setup. Barn with tack room. Large shed. Mature Trees. 5' cyclone fence surrounding yard. 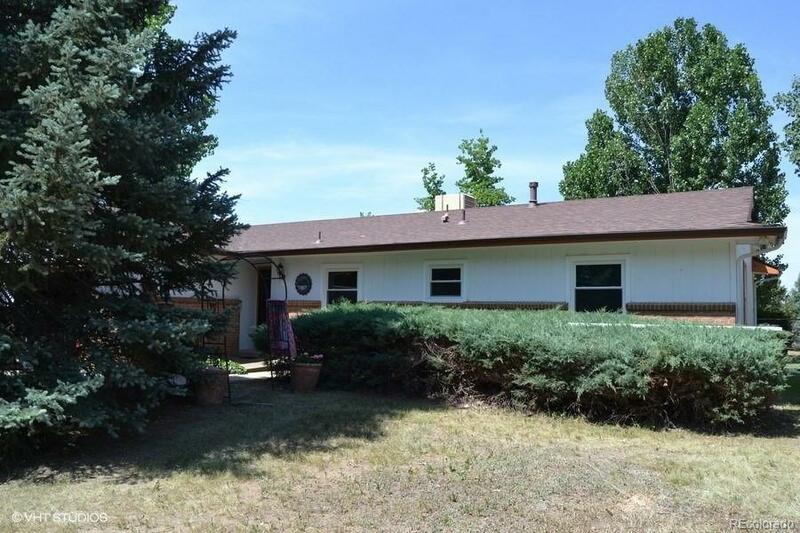 Great location for easy commute to Longmont, Boulder & Metro! Peaceful Private Setting with plenty of space for animals, RV parking, plus stuff! Unfinished basement too! Have a home business?-See Weld County for details! Close to Firestone amenities & NO HOA!